Pirates exist all over the world – not of the swashbuckling Captain Jack Sparrow variety, but the digital. Napster, Limewire, and The Pirate Bay are all popular platforms for sharing digital media freely and illegally. All three platforms have lost their preeminence due to litigation. However, even without their proverbial ships, the pirates remain. The music industry loses $12.5 billion to pirates annually. Current trends project the film and television industry will hit $52 billion in losses to pirates by 2022. And in 2014, Tru Optik estimated the video game industry lost $74 billion to pirates. To place these losses into perspective, consider global revenue. In 2018, the global video game industry produced $135 billion in revenue. By comparison, the global music and film/television industries produced about $130 and $286 billion respectively. Digital rights management (DRM) has emerged as video game developers’ solution to the piracy problem. Transactions with DRM typically are not sales. Rather, the consumer pays a one-time licensing fee for access to the content. The DRM itself is a technology that prevents consumers from copying software. For the consumer, the transaction feels like a sale. For the business, the transaction protects copyrighted material by preventing piracy. However, this layer of security comes with drawbacks for consumers – law-abiding consumers cannot create additional copies for personal use, nor sell the original copy. Furthermore, DRM is hardly a foolproof defense. Hackers regularly crack DRM and distribute the software. The music industry has already run its experiment with this form of DRM. In the early 2000’s, Apple, Microsoft, and other music distributors attached DRM to their digital music files. In the old days, people could go buy a vinyl record, an 8-track tape, or a CD and play it on any machine capable of reading the data; people could make as many copies as they wanted, or sell the original copy. With DRM, this kind of activity became impossible – for example, a song purchased on from Apple’s digital marketplace could only work on Apple devices and could not easily convert to a CD. Additionally, consumers who purchased music with DRM ran the risk of losing that music if the servers hosting the media ever shut down. Consumer outcry, (ultimately unsuccessful) antitrust lawsuits, and the advent of streaming services prompted digital music distributors to drop this form of DRM. Streaming services like Spotify still attach DRM to the music files, but consumers view this as less intrusive – they aren’t paying to “own” the music. The film and television industries followed a parallel pattern, resulting in streaming services like Netflix. And yet DRM remains a false barrier. 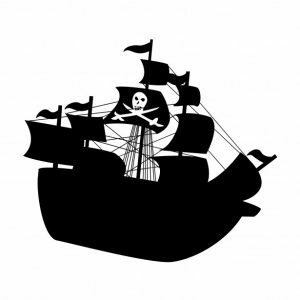 Hackers invariably break the DRM and release the software, and pirates invariably steal it. If DRM does not prevent piracy and hurts the consumer, then why have it? Elmar Fischer, sales director for leading DRM technology firm Denuvo, claims initial sales are the focal point. DRM is only intended to actually function for a few weeks. Thus, DRM and its associated licensure contracts are tools poorly suited to fighting an unwinnable war against piracy. Furthermore, Fischer’s explanation cannot fully explain DRM’s prevalence. Because DRM is only briefly useful against piracy, and because consumers do not like DRM, why not allow it to expire following its usefulness? A short thought experiment may reveal some of the rational. If you are a developer, then you can place your game with Steam and other distributors – like the Xbox marketplace – to sell with DRM. This DRM locks the software into that distributor’s gaming application. If consumers purchase your game on Steam, but also want to play it on their Xboxes, they will need to buy additional copies for their Xboxes too. Some distributors, however, are pushing the industry away from this type of DRM. Notably, CD Projekt’s GOG only sells DRM-free games through its digital marketplace, though its catalogue of games is older and much smaller than Steam’s. Additionally, free-to-play mobile games circumvent this particular issue altogether by basing their pricing plans on micro-transactions made during gameplay. However, traditional and free-to-play games appeal to different markets, and therefore a discussion of their different anti-piracy and contracting strategies may not be directly comparable. The True Cost of Sound Recording Piracy to the U.S. Economy, RIAA (2019) https://www.riaa.com/reports/the-true-cost-of-sound-recording-piracy-to-the-u-s-economy/. DTVE Reporter, Piracy Cost to TV and film industry US$52bn by 2022, DTVE (Oct. 30, 2017), https://www.digitaltveurope.com/2017/10/30/piracy-to-cost-tv-and-film-industry-us52bn-by-2022/. See Luke Graham, Can Can video game piracy be stopped in two years?, CNBC (Jan. 14, 2016), https://www.cnbc.com/2016/01/14/can-video-game-piracy-be-stopped-in-two-years.html. See James Batchelor, Global games market value rising to $134.9bn in 2018, Gameindustry.biz (Dec. 18, 2018), https://www.gamesindustry.biz/articles/2018-12-18-global-games-market-value-rose-to-usd134-9bn-in-2018. Films Industry – Statistics & Facts, statistahttps://www.statista.com/topics/964/film/. See Digital Rights Management and Technical Protection Measures, Office of the Privacy Commissioner of Canada (Nov. 2006), https://web.archive.org/web/20160414002554/http://www.priv.gc.ca/resource/fs-fi/02_05_d_32_e.asp. See Ian Birnbaum, The Best Video Game DRM in the Business Is Getting Cracked Before Games Even Launch, Motherboard (Nov. 12, 2018), https://motherboard.vice.com/en_us/article/3k9qnw/the-best-video-game-drm-in-the-business-is-getting-cracked-before-games-even-launch. See Josh Lowensohn, Jury Finds Apple not liable of harming consumers in iTunes DRM case, The Verge (Dec. 16, 2014), https://www.theverge.com/2014/12/16/7402695/jury-decision-in-iTunes-iPod-DRM-case; Is it possible to burn Apple Music songs to CDs?, NoteBurner, https://www.noteburner.com/apple-music/burn-apple-music-to-cd.html. See Mike Masnick, Reason #9,358 For Not Buying DRM’d Music: Walmart Shuts Down DRM Servers, techdirt (Sep. 29, 2008), https://www.techdirt.com/articles/20080929/0004132388.shtml. See Jennifer Menendez, How Steam Employs DRM & What That Means For Your Game, Black Shell Media (Jun. 28, 2017), https://blackshellmedia.com/2017/06/28/steam-employs-drm-means-game/. See id.See also Taylor Soper, Valve reveals Steam’s monthly active user count and game sales by region, GeekWire (Aug. 3, 2017), https://www.geekwire.com/2017/valve-reveals-steams-monthly-active-user-count-game-sales-region/. See Haydn Taylor, Denuvo: “There is no uncrackable game. What we do is protect initial sales”, Gamesindustry.biz (Aug. 29, 2018), https://www.gamesindustry.biz/articles/2018-08-29-denuvo-and-irdeto-on-protecting-early-sales-from-piracy. See Charlie Osborne, Google engineer: DRM has nothing to do with piracy, ZDNet (Mar. 20, 2013), https://www.zdnet.com/article/google-engineer-drm-has-nothing-to-do-with-piracy/. See Max Preusse, The Dual Audience Dilemma: Appealing to Both Traditional and Crypto Gamers, Medium (May 23, 2018), https://medium.com/the-notice-board/the-dual-audience-dilemma-appealing-to-both-traditional-and-crypto-gamers-d75c584de84e.